In the paean of those who have provided philosophical and theological underpinnings for the role of art in faith and culture, four names stand out: Hans Rookmaaker, (Art Needs No Justification), Francis Schaeffer (Art & the Bible) and John Franklin (Imago). The fourth is Calvin Seerveld, professor emiritus in Aesthetics at Toronto’s Institute for Christian Studies, who had a six-volume collection of his “sundry writings and occasional lectures” published buy Dordt College Press last year. One of those volumes, Redemptive Art in Society, needs to be on the “to-read” list of anyone involved in the intersection of faith, arts and culture. The lectures, papers and articles date from as early as 1993 to as late as 2010 and were presented in venues as varied as: the Christians in the Visual Arts (CIVA) conference at McGill University in Montreal, the Christians in the Theatre Arts (CITA) conference in Chicago and Barcelona’s “Arts Gathering” conference in Spain. 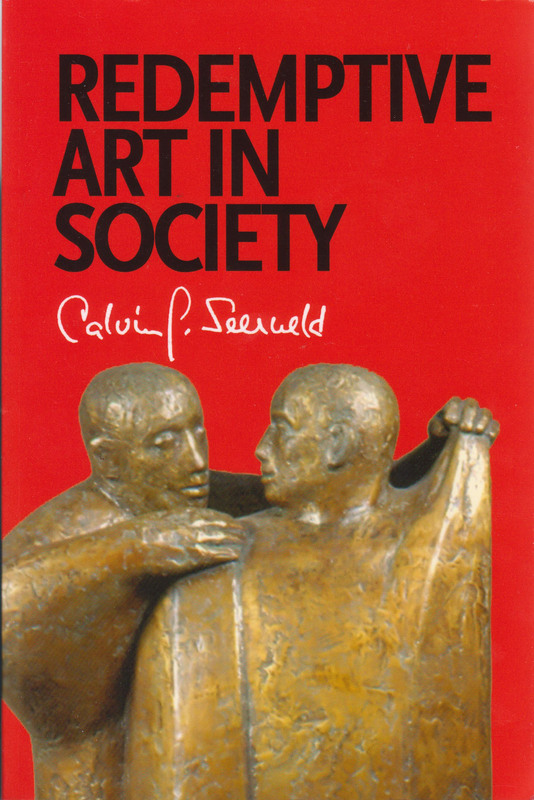 In Redemptive Art in Society Seerveld provides artists with the “why” of art. I’d suggest that many of us are so busy with the “how” of our art, we often forget the “why.” We become focused on what we should create, what role our faith plays in creating art, where our art should go and who should be exposed to our art – often forgetting the foundational question: why do we create art? The peculiar, subtle creaturely glory of artistry (can) be reinstated as an ordinary diaconal ministry: artists skillfully, imaginatively collect nuances in God’s world and present them like manna to their neighbors.